Yesterday’s article was developed through the wisdom of this week’s featured book: William B. Irvine’s On Desire: Why We Want The Things We Want. This is a topic that can make people squirm. Talking about what you want and why is a deeply personal thing. However, talking about what other people want and why is easy. We call it Marketing. But we’ll save the talk about marketing for when we actually read a book on marketing. Irvine’s book is a moment for us to cast the spotlight on ourselves. Time to look inward. For a minute anyway. It’s astonishing to think that the best wisdom on suffering emerged 2,500 years ago. This is roughly the period at which Buddhism emerged with the Four Noble Truths. The second such truth stated that the origin of suffering is three-fold and the first originator is greed and desire. This is brilliant. We hadn’t even invented the horseshoe yet and here we were dropping beautiful knowledge like this, knowledge that gets to the core of the human condition. And like most brilliant insights, it feels really obvious and unworthy of real discussion until you find yourself subjected to its truths. To desire is human. Thus to suffer is human. To not desire anything is to theoretically not experience any suffering outside of the physical pain of something like a toothache. Speaking of toothaches, isn’t that what ambition feels like sometimes? A toothache? It could be the mild ambition to go on a trip to the beach or the major ambition of becoming a CEO. Such an unmet desire is a dull, constant pain. You and I, we feel these pains every day. Clearly, we’ve been doing for more than 2,500 years. The origin of those pains, the unmet desires, often point to the same fundamental needs. In the realm of psychology, there are few concepts more durable than Abraham Maslow’s Hierarchy of Needs. This framework was first introduced in 1954 with his book Motivation and Personality. Since then, it has been tested and applied in various ways and explains a lot of behavior across all cultures. These are the basic needs we hold as self-evident. It’s one of the few things that bond the tribes of Papua New Guinea with the people of Wall Street. Here are the major categories for what we desire. Therefore, this is the major foundation for whatever causes us to suffer. The origin behind your toothache of unmet desire can be traced back to this framework. Some toothaches are easier to fix than others. Shelter and food have clear, tangible solutions that provide instant relief. But consider the top-most need on the pyramid; it’s the one that emerges at the top right corner of the graph. Self-actualization is a bit of an enigma. It is a need that I only barely understand how to fill and yet, like food and shelter, it is a need that never goes away. I think this is where Irvine’s book can help. It seems that he never actually said this. But the wisdom still stands. People’s typical desire is for something slightly better than what they have but still familiar. No one had asked for a Model T. I’m not sure people thought it was something they could reasonably expect. But they could expect a faster horse and so that’s what they wanted. The important lesson is that Ford’s customer had two desires. The first was a terminal desire to travel from one place to another. The second was an instrumental desire to find a good tool for the job (e.g., a horse or automobile). The terminal desire for safe, convenient travel is practically universal and does not really go away. The instrumental desire is more moveable. It shifts with a variety of other instrumental desires. Let’s consider transportation again, particularly with today’s phenomenon of the urban bike commuter. The typical bike commuter chooses their travel based on a combination of several terminal desires that lead to a very specific instrumental desire. Terminal desires: to travel, to be healthy, to be part of a tribe. Instrumental desire: to have the best bicycle one can afford. I’m generalizing a bit but these are the core needs and motivations. I should know. It’s what compelled me to become such a commuter. Our desires fall into two categories: instrumental desires that we desire for the sake of something else, and terminal desires that we can desire for their own sake. I think this is the most important idea in the book. Amongst many great ideas. To give it more clarity, consider the “Jobs To Be Done” concept pioneered by the illustrious Harvard professor Clayton Christensen. I don’t have a long commute to work. Thus, I’ve never really stopped for breakfast at a fast food restaurant. But many of us have this experience every morning and a segment of these daily commuters order breakfast at a drive-thru. To my surprise, many of these folks order a milkshake. It doesn’t make any sense. If I’m hungry at breakfast time, I’m going to order something more conventional like a breakfast sandwich or oatmeal or yogurt. A milkshake in the morning is like a slab of barbeque ribs in the morning. It’s just the wrong food at the wrong time. So why do people do that? Why do they want a milkshake? The mystery isn’t so hard to solve when you think about the needs and desires of the long-haul commuter. This is someone who isn’t just hungry but also slightly bored. And they are limited to one free hand since the other hand is (hopefully) operating the car as they drive many miles to the workplace. Such a person, in such a situation, has multiple desires they wish to fulfill. A need for sustenance but also a need for distraction. They can fixate on a milkshake for thirty minutes. It has a slow burn rate. They can’t easily do that with an Egg McMuffin. Nibble all you want but that sandwich will get cold and unsavory in five minutes. To say nothing of the crumbs. The point here is that the commuter, as Professor Christenson explains, has a certain “job to be done”. It isn’t merely the job of providing sustenance. It is also a job to provide distraction. So many commuters “hire” the milkshake to perform that dual-role. And to return back to our featured author, who is also a professor, the “job to be done” represents the terminal desire for food and distraction. The milkshake is the instrumental desire. When you think about a milkshake as an instrument, a thing you “hire”, you can quickly think of other solutions. A fruit smoothie immediately comes to mind. Or a protein shake. Anyway, the major points here are that (a) our desires are largely the same but (b) our means of fulfilling them vary. Often, our initial idea for how to fulfill a need is not very creative (e.g. Ford’s faster horses). It doesn’t have to be. 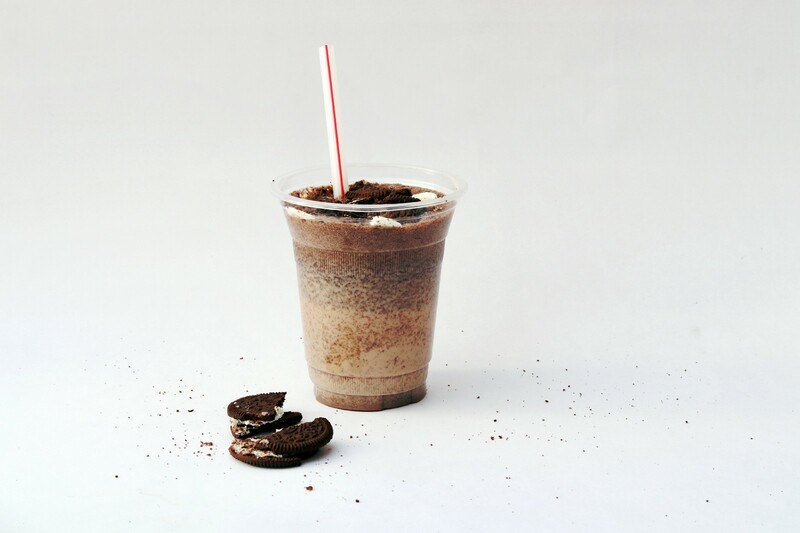 The more we can uncouple a specific need for, say, a milkshake, the sooner we can understand what drives that behavior and reconsider the need at a base level. From that base level, we can find many other ways to fulfill the desire. Or, perhaps, eliminate it altogether. More on that idea tomorrow.